Attorneys for political consultant Roger Stone say he will not give an interview or evidence in response to a request from the Senate Judiciary Committee, citing his 5th Amendment privilege, according to Democratic Sen. Dianne Feinstein. 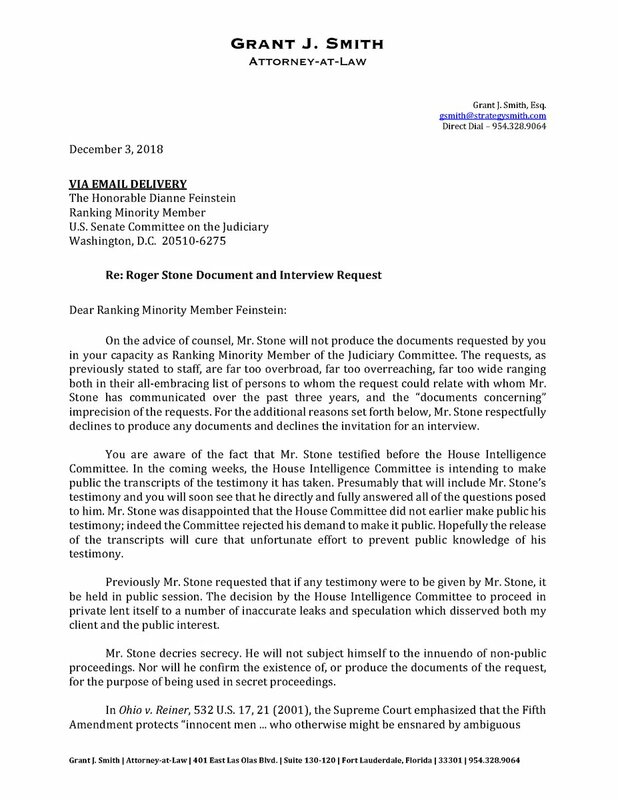 Sen Dianne Feinstein:Roger Stone’s attorney sent a letter this week stating Stone won’t provide documents or appear for an interview before the committee. A woman, two children and five members of the “Syrian Democratic Forces” were wounded when a car bomb exploded in the town of Dhiban, east of Deir al-Zour.